I think we can comfortably say that we are well into Winter although it hasn't started snowing yet but I spied some little frozen speckles on my way to work a couple of days ago. The temperature has dramatically dropped to almost zero so it is super cold. My skin has been playing up like it’s confused; it is trying to decide if it should continue being combination oily or dry. It has been both but I have noticed it has become a little dehydrated which can happen even if you have combination and/or oily skin. To combat this, I have switched up my skincare to ensure my skin is well hydrated, moisturised and kept as supple as it can be given the weather conditions. Once my skin starts feeling dry and dehydrated, I prefer using an oil or cream cleanser to take off my makeup because it just feels mositurising. 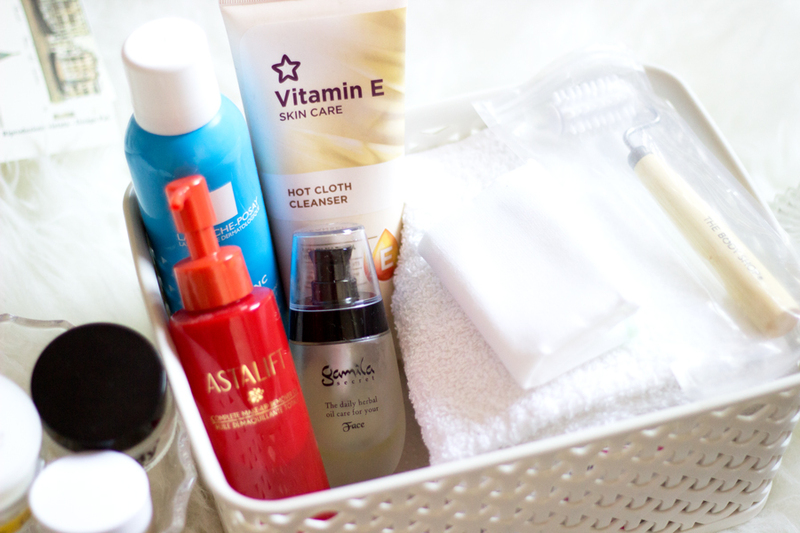 I switch between my Superdrug Vitamin E Hot Clot Cleanser (mini review here) and my Liz Earle Hot Cloth Cleanser (mini review here) and I love both of them although I gravitate towards Liz Earle because I think it’s one of the best I have tried out there. On other days, I use my beloved oil cleanser from Astalift (review here)which is sadly not sold any more in-store in the UK (*weeps*) but I think you can still purchase it on Amazon. I really like this oil cleanser and it removes my makeup effortlessly while keeping my skin well moisturised. I also use the Body Shop Camomile Oil Cleanser (review here) on other days because I really don’t want my Astalift to run out. The Body Shop version is equally good but I find it a little heavier on my skin than the Astalift version. 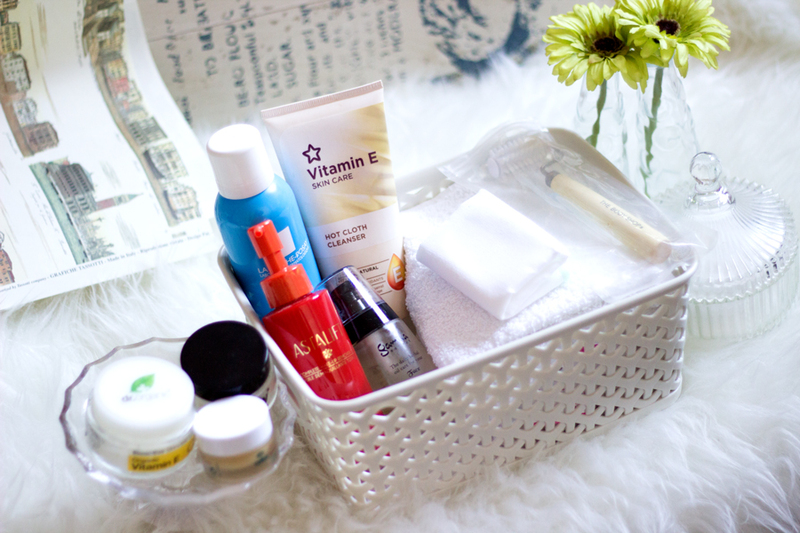 I always do a double cleanse so once my makeup is removed with an oil or cream cleanser, I proceed with either my Neutrogena Visibly Clear Cleanser or my Dudu Osun Soap (review here). 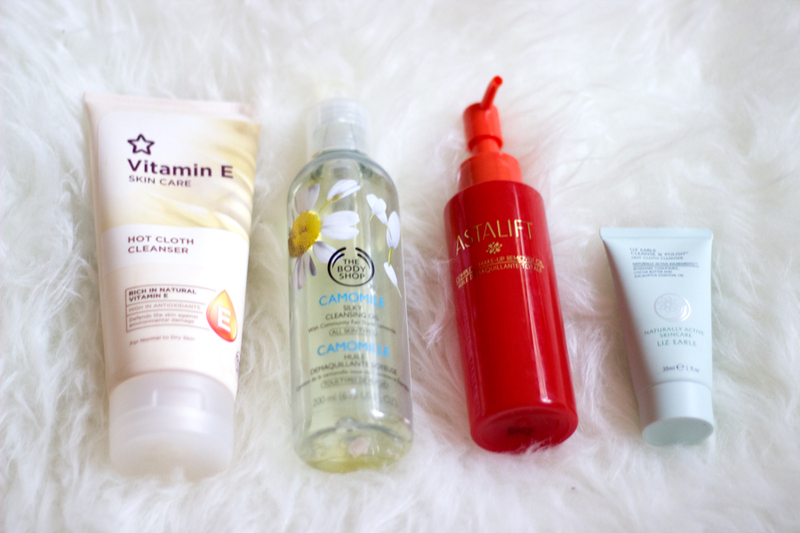 I still use my La Roche Posay Effaclar Toner and Botanics Brightening Hibiscus Toner every now and then because they work best on my skin and I don’t see any need to change it. 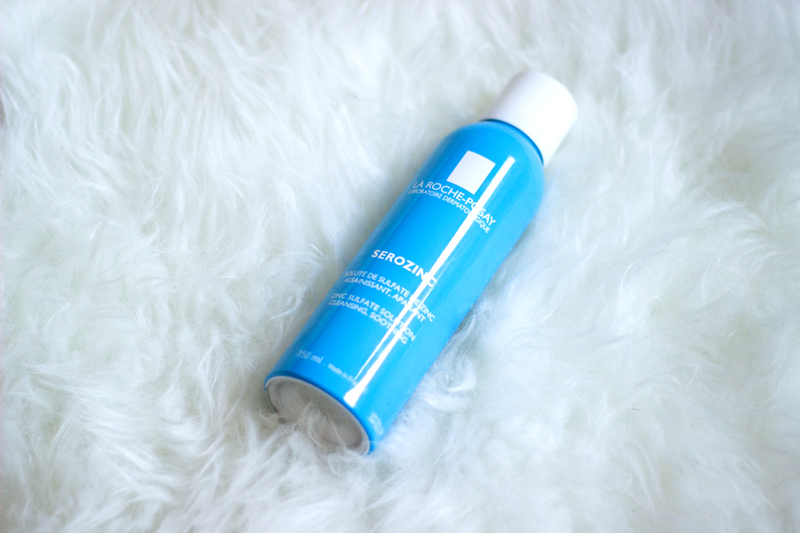 However, I recently tried the cult classic La Roche Posay Serozinc Spray which would soon be available to purchase in the UK (woop, woop). I picked this up during my last trip to Paris and I am so annoyed I didn’t buy more than one. It is really worth the hype because it hydrates my skin and leaves it feeling soft. 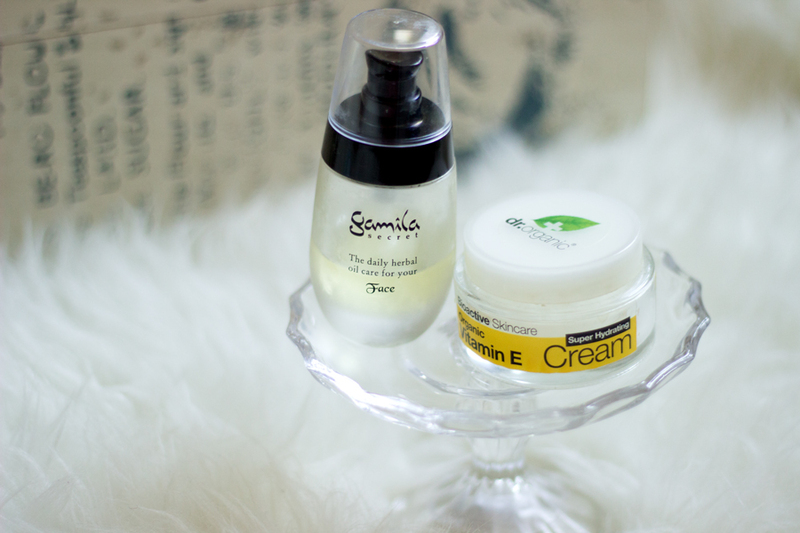 Once upon a time, I was a huge fan of oils and rich moisturising creams but as summer/spring approached, I switched to lighter but still moisture inducing creams. Now it's winter and my skin has changed a little, I think it’s time to switch back. I have gone back to my pricey but effective Gamila Secret Oil review here (which is still one of my most read posts) and I love it so much because it feels so light and it is a multi functional oil. It feels so light on my skin and it gets absorbed easily without any greasy feeling which makes it ideal for use in the morning and evening. It is quite pricey at £70 although I got a 10% discount when I purchased it but it’s all worth it. Sadly, they no longer have their stand in House of Fraser but you can still buy it online. 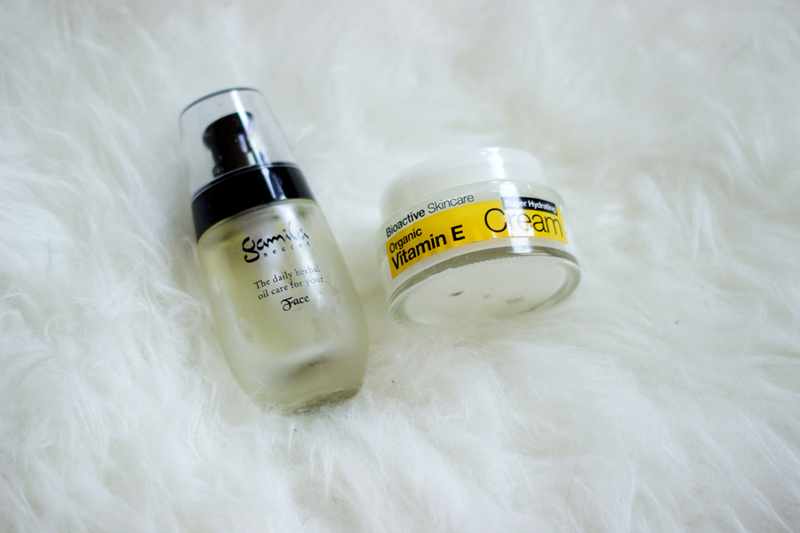 My other moisturiser of choice is the Dr Organic Vitamin E moisturiser (review here) which is a super rich cream so I save it for night only and it locks in the right amount of moisture all night and keeps my face soft and smooth in the morning. 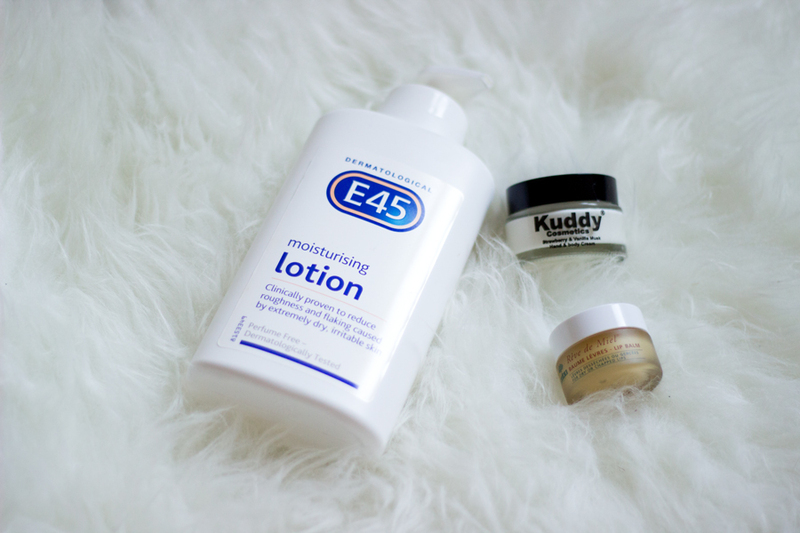 I still stick to my E-45 Moisturiser for my body because it does such an amazing job and keeps my skin hydrated all day. 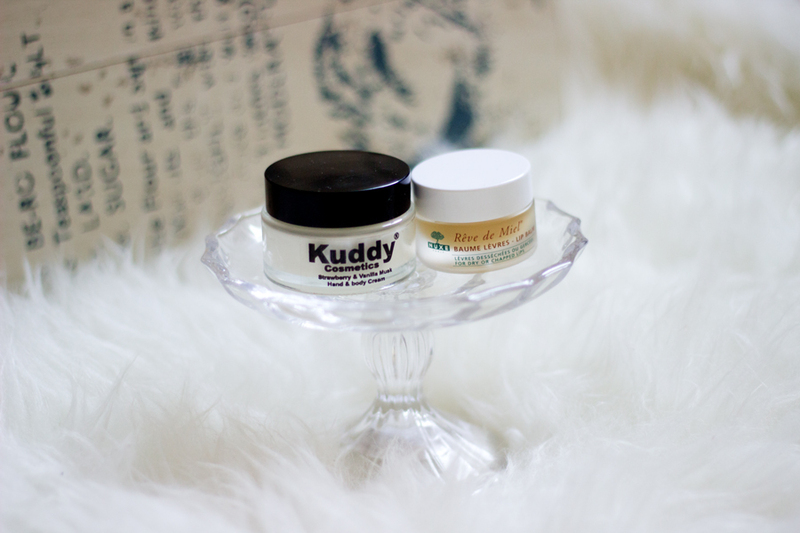 I usually prefer hand creams that come in a tube and I talked about them last winter but I have fallen in love with another one and it's the Kuddy Cosmetics Hand and Body Cream*. 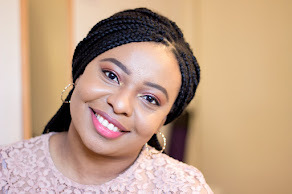 I have spoken about Kuddy Cosmetics on this blog (brand review here) and they are an indigenous Nigerian Beauty Brand which I have spoken about here. Although it says Hand and Body, I prefer to use it as a hand cream because it is quite small. It is very moisturising and the fragrance lingers for a while which I really like. It smells of strawberry, vanilla and musk and this combination is really lovely. It reminds me of a fragrance from my childhood/teenage days; I really can’t place it but I love it. I think my lips are the most obvious part of my body to give away tell tale signs of dryness. They have been very dry and even proceeded to crack this winter which is pretty annoying because it makes lipstick application less attractive. However, my Nuxe Reve de Miel Lip Balm has been amazing and I really can’t be without it. It is indeed my holy grail and it works really well on my chapped lips. It feels slightly thick and heavy but it gets absorbed really quickly and I pop it on most nights to combat any dryness in the morning. Some mornings, I even wear it under my lipstick and it’s still fine. I find that it makes my Maybelline Color Drama Lip Colours (review here) apply better and I am so pleased with it. 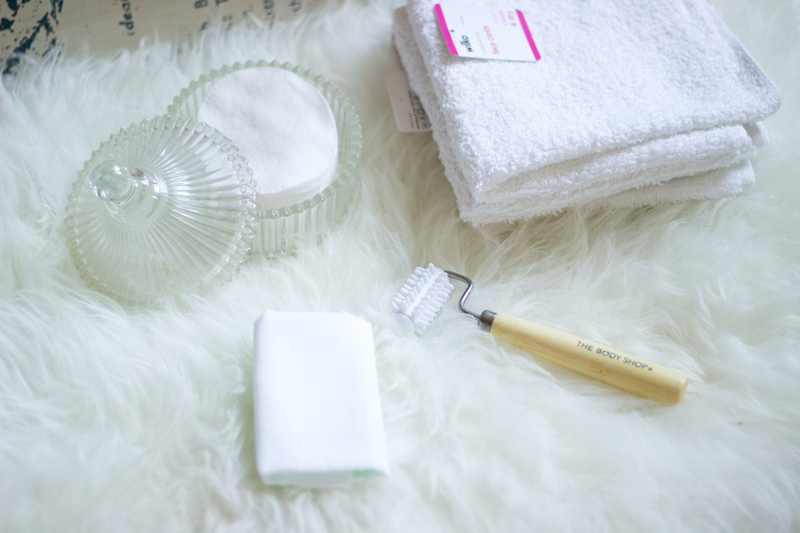 I know a lot of people tend to overlook some skincare tools because they don’t think they are as important as the actual skincare product. 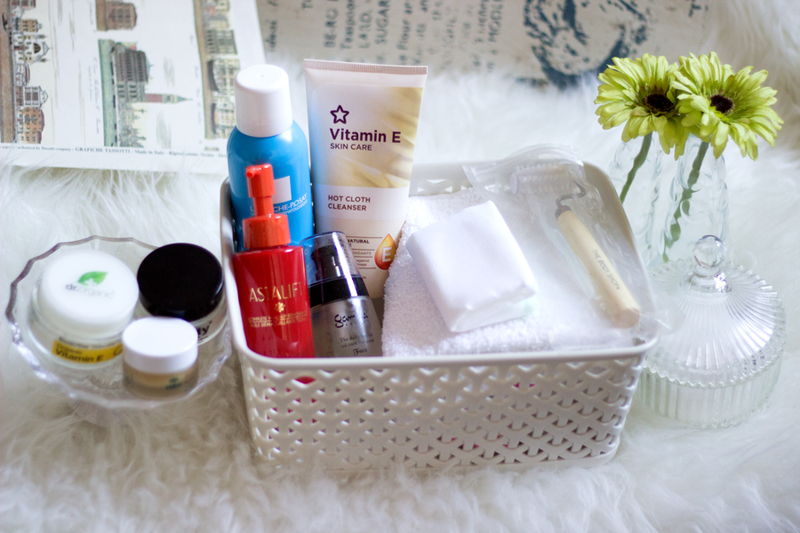 However, many skincare products need an extra tool to make their application easier. For example, you can’t use a toner straight from the bottle without a cotton pad and you can’t successfully use a hot cloth cleanser without a flannel or a muslin cloth. I love these little tools and I make sure I am well stocked for winter. 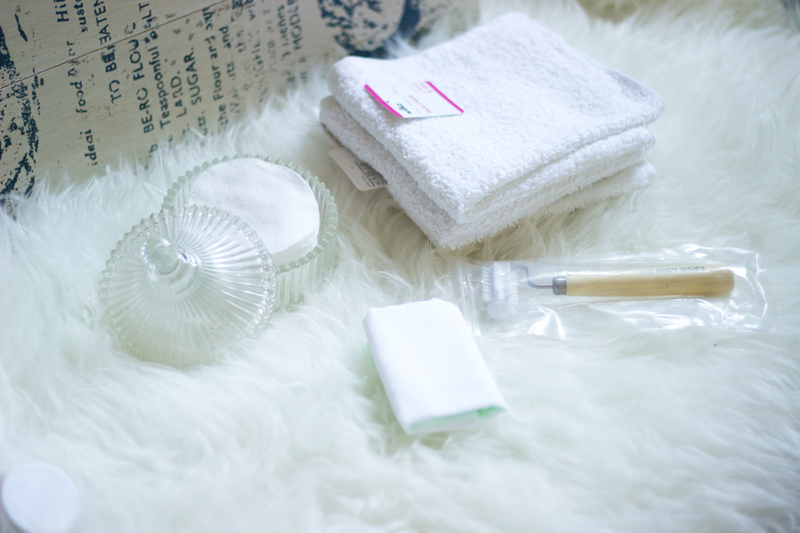 For cotton pads, I prefer the Wilko Cotton Pads because they are wider and absorb/distribute the product evenly. They only cost 50p which is such a bargain and a major reason why they are always sold out. I also stock up on flannels because they are used to dry my face after cleansing and I find that having a separate flannel for my face has really helped my skin.